London Printed for R. Ackermann 101 Strand by J. Diggens Saint Ann's Lane 1813 Royal 8vo: ,xv,,215,pp, with 21 hand-colored engravings (including frontispiece) by Thomas Rowlandson after drawings by J. Green, showing "comically all the delights and amusements of a fashionable watering-place." (Hardie) "Plate 8, 'The Warm Bath,' is said to contain the portrait of Mrs. Robinson, George IV's mistress." (Tooley). 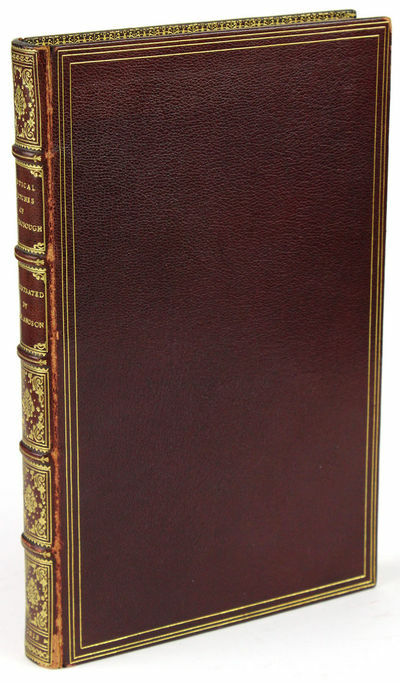 Elegantly bound by Sangorski & Sutcliffe in full burgundy morocco, covers with triple gilt (French) fillets, spine richly tooled in gilt in compartments, top edge gilt, gilt turn-ins, marbled end papers. Light, scattered foxing and brief rubbing to joints, else an exceptionally pleasing copy. Abbey, Scenery 297-98. Tooley 422. Prideaux, pp. 144-145. Grolier Rowlandson 66 (for first edition). Hardie, p. 170. Near Fine+ ¶ Second Edition of this volume of light satirical verse, published the same year as the first, with initials of the authors now subjoined to each incident. (Text by William Combe, most famous as author of The Tour of Doctor Syntax; clergyman, abolitionist and bibliophile Francis Wrangham, who also produced a bibliography of Scarborough; and architect and designer John Buonarotti Papworth.) One of England's oldest and most fashionable seaside resorts, Scarborough in Yorkshire grew as a major destination for therapeutic sea-bathing from the mid-18th into the 19th century. "It appears that Mr. Green, the artist, during a visit to Scarborough in the season of 1812, made various pleasing and humorous sketches of the most striking objects . . . and that some of his poetical friends, to whom they were shown, undertook the task of illustrating and giving them effect by appropriate sketches in verse." (The Monthly Review, Vol. LXXII (1813), p. 73). N. B. With few exceptions (always identified), we only stock books in exceptional condition. All orders are packaged with care and posted promptly. Satisfaction guaranteed. Grammaire de la langue Arabe vulgaire et littérale; ouvrage posthume de M Savary traducteur du Coran. Augementé de quelques contes arabes par l'éditeur. A Paris: de L'Imprimerie Impériale. Very Good. 1813. First Edition. Hardback. A very nice copy, clean and tight. Quarto. 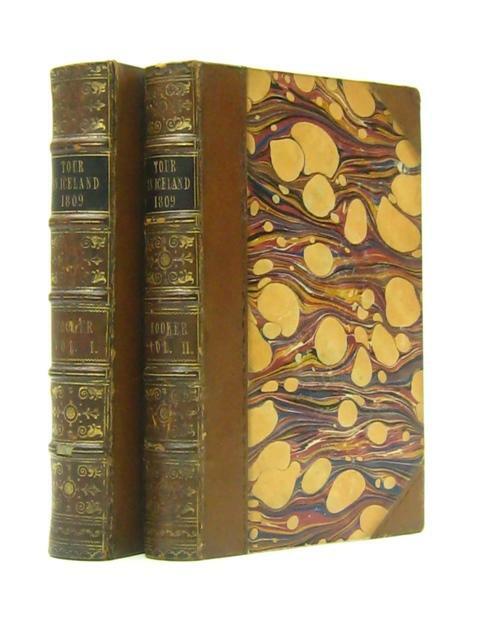 Nineteenth century library half-leather to buckram boards, raised bands to spine, marbled endpapers and fore-edges. No stamps or labels, shelf-number removed from spine tail. Half title in French and in Latin, both title pages (one in French, one in Latin) present, xii+536pp.. ; Claude Etienne Savary (1750 - 1788) was an orientalist, a pioneer of Egyptology and translator of the Qur'an or Koran. His Arabic (as spoken in Egypt) grammar was published posthumously. ; xii+536pp pages . London - F C and JRivington et al., 1813 Book. Near Fine. Hardcover. A collection of old English folk songs. Complete in three volumes. Edited by Thomas Park and Joseph Ritson. In a beautiful Clarke and Beford binding with gilt stamping to the spines. The second edition of this work. Joseph Ritson was an English antiquary. He had several published works including The Spartan Manual and VersesAddressed to the Ladies of Stockton. Thomas Park was another English antiquary and literary editor. He was good friends with Ritson and they worked together on several works including Bibliographia Poetica. Condition: In full morocco bindings with gilt stamping to the spines and board edges. Externally, very smart with just some small patches of minor rubbing to the extremities and to the head and tail of spines. Binder's stamp to the verso of front endpaper to all volumes, Clarke and Bedford. Gift inscription to the recto of front endpaper to volume I dated 1875. Internally, all volumes are firmly bound. Pages are generally bright with light scattered spots throughout. Overall: NEAR FINE. Journal of a Tour in Iceland, in the Summer of 1809. Second edition, with additions. London: Printed for R. Ackermann 101 Strand by J. Diggens Saint Ann's Lane, 1813. Second Edition. Morocco. Near Fine+. 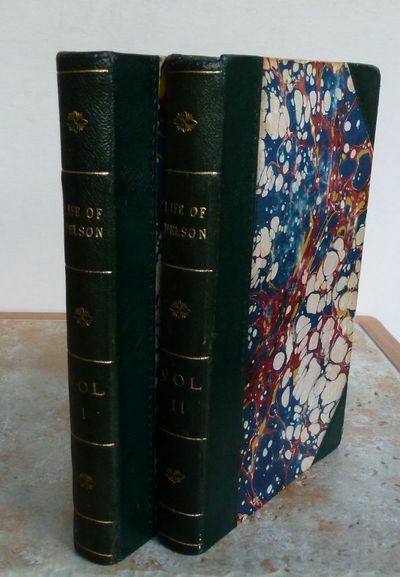 Royal 8vo: ,xv,,215,pp, with 21 hand-colored engravings (including frontispiece) by Thomas Rowlandson after drawings by J. Green, showing "comically all the delights and amusements of a fashionable watering-place." (Hardie) Â“Plate 8, Â‘The Warm Bath,Â’ is said to contain the portrait of Mrs. Robinson, George IVÂ’s mistress.Â” (Tooley). 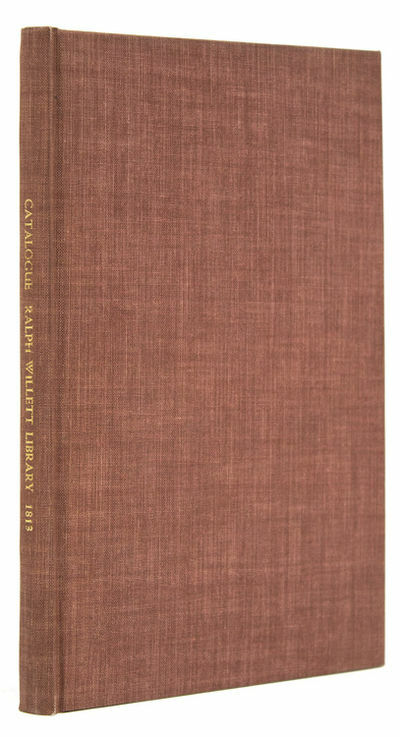 Elegantly bound by Sangorski & Sutcliffe in full burgundy morocco, covers with triple gilt (French) fillets, spine richly tooled in gilt in compartments, top edge gilt, gilt turn-ins, marbled end papers. Light, scattered foxing and brief rubbing to joints, else an exceptionally pleasing copy. Abbey, Scenery 297-98. Tooley 422. Prideaux, pp. 144-145. Grolier Rowlandson 66 (for first edition). Hardie, p. 170. Second Edition of this volume of light satirical verse, published the same year as the first, with initials of the authors now subjoined to each incident. (Text by William Combe, most famous as author of The Tour of Doctor Syntax; clergyman, abolitionist and bibliophile Francis Wrangham, who also produced a bibliography of Scarborough; and architect and designer John Buonarotti Papworth.) One of EnglandÂ’s oldest and most fashionable seaside resorts, Scarborough in Yorkshire grew as a major destination for therapeutic sea-bathing from the mid-18th into the 19th century. Â“It appears that Mr. Green, the artist, during a visit to Scarborough in the season of 1812, made various pleasing and humorous sketches of the most striking objects . . . and that some of his poetical friends, to whom they were shown, undertook the task of illustrating and giving them effect by appropriate sketches in verse.Â” (The Monthly Review, Vol. LXXII (1813), p. 73). N. B. With few exceptions (always identified), we only stock books in exceptional condition. All orders are packaged with care and posted promptly. Satisfaction guaranteed. 16 pages of text; 16 engraved plates. Original printed wrappers. 126 x 104 mm. Some light finger-marking and toning of paper; else a very good copy. This title was first published in 1811.See Darton H1282(2). Giuseppe Remondini, 1813. Incisione in rame, colorato d'epoca, mm 450x600. Classico gioco dell'oca didattico non figurato che descrive le biografie e i momenti più celebri della storia romana. Ottima conservazione, ampi margini. Ruhestätte der Mitglieder des Vereins Hanseatischer Kampfgenossen. Original-Aquarell + Mischtechnik um 1832. Horloge marine à tourbillon dont l'échappement est à remontoir indépendant et à force constante, et montre à longitudes, à doubles secondes, à équation et à quantième annuel, exécutées par M. Breguet, pour M. de Sommariva. [Paris, vers 1813]. ____ Très rare prospectus publicitaire d'Abraham Louis Breguet (1747-1823). Il y décrit la "Sommariva", une pendule avec montre "à tourbillon, force constante, et spiral s'ouvrant concentriquement." Le tourbillon est l'invention de Breguet la plus importante : il permet d'équilibrer les différentes pièces qui se trouvent dans une montre. Ce mécanisme impose une rotation à l'ensemble échappement-balancier, qui l'oblige à prendre toutes les positions, ceci en plus de compenser la gravité, permettrait également d'améliorer la lubrification en évitant que les huiles ne se figent. La montre décrite ici portait cette inscription : "Ouvrage de Bréguet, commandé par M. de Sommariva, sans limitation de temps, de dépense, de volume et de composition, commencé en 1802 et terminé en 1813. Effort de l'artiste pour faire de cette machine un monument de l'état de l'horlogerie au commencement du 19e siècle." Cette pendule a été construite à un seul exemplaire et on ne sait pas aujourd'hui si elle existe toujours. Illustré par une gravure sur cuivre. Nous n'avons pas trouvé d'autres exemplaires conservés dans les bibliothèques. *-------* A very rare advertising brochure by Abraham Louis Breguet (1747-1823). He describes the "Sommariva". This pendulum, his masterpiece, was built to a single copy and it is not known today whether it still exists. Illustrated by a copper engraving. We have not found any copy in OCLC, nor Ccfr. In-folio. Collation : 3 pp. Cartonnage moderne. State Mysteries a Vision of Pall Mall. 1813. First Edition . (HAGGADAH). Orden de la Agada de Pesah, En Hebraico y Español. Segun Uzan los Judios, Espanoles y Portuguezes, Traducido del Hebraico y Caldeo. London: L. Alexander, A.M. 5573 [i.e., 1813]. 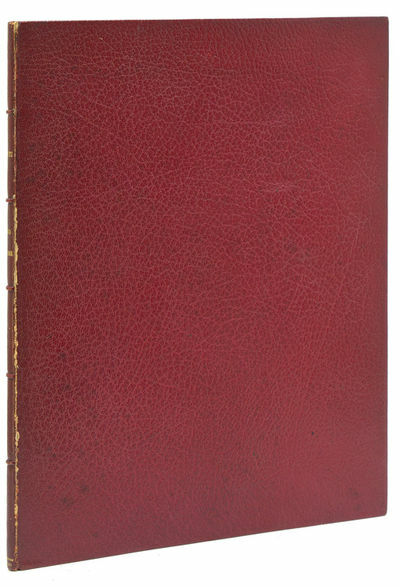 Quarto, contemporary full marbled sheep sympathetically rebacked and recornered in calf gilt, red morocco spine label, original marbled endpapers. $9500.First and only edition of the only Spanish translation of the Haggadah to be printed in London, illustrated with eight engraved plates and four engraved folding maps.This, the only Spanish translation of the Haggadah to be printed in London, is also an example of the survival into the 19th century of the Spanish language among the Sephardic Jews of England (Yerushalmi 85). The illustrations depict biblical scenes, and the maps detail the terrain of the Middle East printed by Levi Alexander, retaining their English captions. 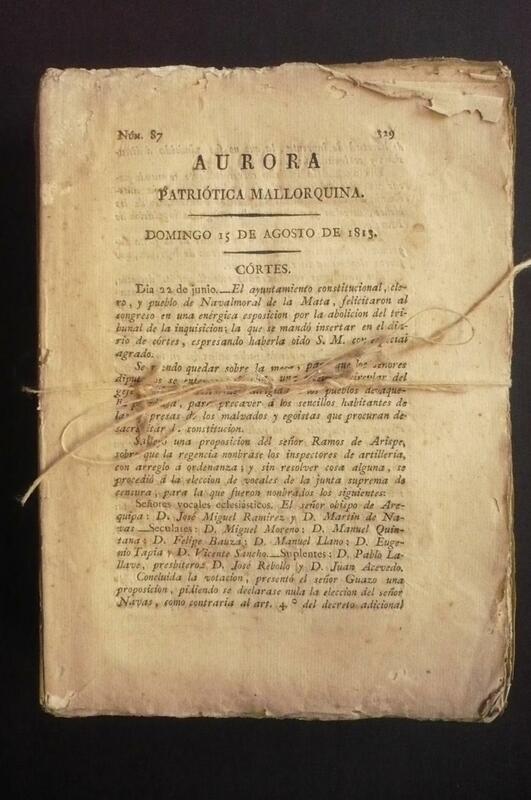 Printed in Hebrew with Spanish translation by Jacob Meldula of Amsterdam facing. Yaari 381. Yerushalmi, plate 85. Roughly one-third of folding Map of the Country from Sues to Mount Sinai supplied in neat facsimile. Text professionally cleaned, with a few marginal paper repairs, contemporary marbled sheep boards with expert restoration. An extremely good copy of this scarce item in contemporary binding. 1813. First Edition . (NARDI, Luigi). Descrizione Antiquario-Architettonica Con Rami DellArco Di Augusto Ponte Di Tiberio E Tempio Malatestiano Di Rimino. Rimini: Marsoner e Grandi, 1813. Folio, modern half blue morocco, raised bands, red morocco spine label, marbled edges; pp. 81. 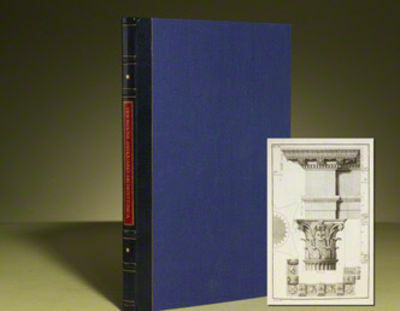 $1800.First edition, with 17 folio architectural plates (four folding) of Roman and Renaissance buildings in Rimini.Featuring detailed plans of Riminis three most notable works of architecture: the Arch of Augustus, built in 27 BC, the Bridge of Tiberius (also known as the devils bridge after ancient tales in which the Emperor agreed to give the soul of the first one across the bridge to the devil in exchange for his help in building it), and the Tempio Malatestiano, built in the 15th century by the great Renaissance architectural theorist Alberti as his first attempt to apply his theories to the practice of architecture. Only minor foxing to plates, text bright and clean. Saint-Simon, Claude-Henri de, French political and economic theorist (1760-1825). London, John Murray, bookseller to the Admiralty and to the Board of Longitude, 1813.. FIRST EDITION 1813, 2 volumes, LARGE PAPER COPY. 8vo, 185 x 115 mm, 7¼ x 4½ inches, engraved frontispiece portrait of Nelson to Volume I, and engraved frontispiece with 5 examples of Nelson's signature to Volume II, pages: viii, 253; viii, 276, verso of last page in each volume is an advert (the advert page in Volume II is numbered 276), both half-titles present, but LACKING 1 PAGE OF PRELIMS IN VOLUME II (Dedication leaf? ), bound in half dark green roan, gilt lettering, decoration and rules to spines, marbled boards, speckled edges. Bindings rubbed, small chip with loss of leather to head of Volume II, small crack to foot of lower hinge, shelf wear to edges and corners, both frontispieces have uneven age-browning, title pages have pale age-browning, 3 pages in Volume I have foxing to lower margins not affecting text, occasional pale fox spot to margins, engraved armorial bookplate to first pastedown of each volume (Bernard Stevens Walker), otherwise a very good set. See: National Maritime Museum Catalogue of the Library Volume 2 part 1, page 306, No. 927 which has the same advert count as our set. MORE IMAGES ATTACHED TO THIS LISTING, ALL ZOOMABLE. FURTHER IMAGES ON REQUEST. POSTAGE AT COST. Le vrai patineur, ou principes sur l'art de patiner avec grâce, précédé de réflexions et de remarques critiques sur la manière de quelques patineurs inélégans, ainsi que sur les différens formes de patins, le choix quel'on doit en faire, et les variations dont cette chaussure est susceptible. Paris, Delespinasse, Delaunaux, Nepveu, 1813. ____ Première édition. C'est le premier manuel français de patinage, un sport qui a été introduit en France durant le règne de Louis XVI. Il est illustré de 8 planches gravées. La première en frontispice représente une patinoire, les 7 suivantes, les attitudes des patineurs. Dos renforcé d'une bande de papier anciennement. Bon exemplaire. *-------* First edition of the first French manual on the art of ice-skating. Foster, A Bibliography of Skating N° 35. In-12. Collation : frontispice, XXIV, 93, (1) pp., 7 planches h.-t. Broché, couverture de l'époque. 8vo., sometime finely bound for Tregaskis in half double gilt ruled brown morocco, panelled and lettered in gilt on spine with gilt centre tools, top edge gilt. Folding map, 22 plates. A little offsetting from a couple of plates, very occasional light spotting, bookplate, generally a very good copy in a handsome binding. First edition. Longman Hurst Rees Orme & Brown,, 1813. 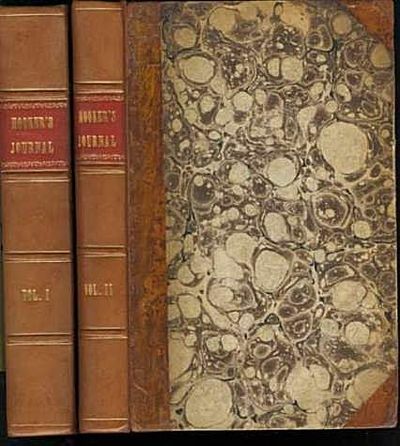 2 vols., in 3, 8vo., First Edition, some mild spotting to text; attractively bound in nineteenth century half calf, marbled boards, uncut, expertly rebacked in calf to style, backstrips with flat gilt bands, second compartments with red leather label ruled and lettered in gilt, fourth compartments numbered in gilt, a very good, bright, crisp copy. With the nineteenth century pictorial bookplate of Henry Briant Wells on front free endpaper of first volume. This compendium includes (in the second volume) the first appearance in print of a number of Aubrey's 'Brief Lives', one of the great literary works of the period. There are present 131 'lives' (of a total of 426), edited anonymously by the Rev. John Walker, the compiler of 'Oxiana' and other works. The 'Letters' are edited by Philip Bliss. A CRISP COPY OF A SCARCE AND IMPORTANT COLLECTION. Lowndes, p.228; NCBEL II, p.1682. Recherches sur la Géographie systématique et positive des Anciens; pour servir de base à l'histoire de la Géographie ancienne. Paris: An V, i.e. 1797-, 1813. Four volumes, quarto, with 53 maps on 28 folding plates and an engraved compass rose; an attractive set in later half crimson morocco with gilt lettering. Only edition of this substantial study of the geography of the ancients, analysing their understanding and mapping from Europe and Africa to as far afield as India and the Indian Ocean. Various maps show the knowledge or imagination of early geographers such as Ptolemy, Strabo, Pomponius Mela, Herodotus and Isidore of Seville, while the text deals exhaustively with the history of geography and geographers, however obscure. As a test for example it is interesting to see that Cosmas Indicopleustes is discussed at some length.Pascal-François Gossellin (1751-1830) travelled widely through Europe as a young man, while his parents encouraged him to learn the ways of business. He joined the Royal Council of Commerce in 1784, and later the central administration under Louis XVI. He continued to travel, and developed friendships with Necker and Voltaire, both then in Switzerland.However he was always pulled towards the world of learning and especially the study of ancient geography. 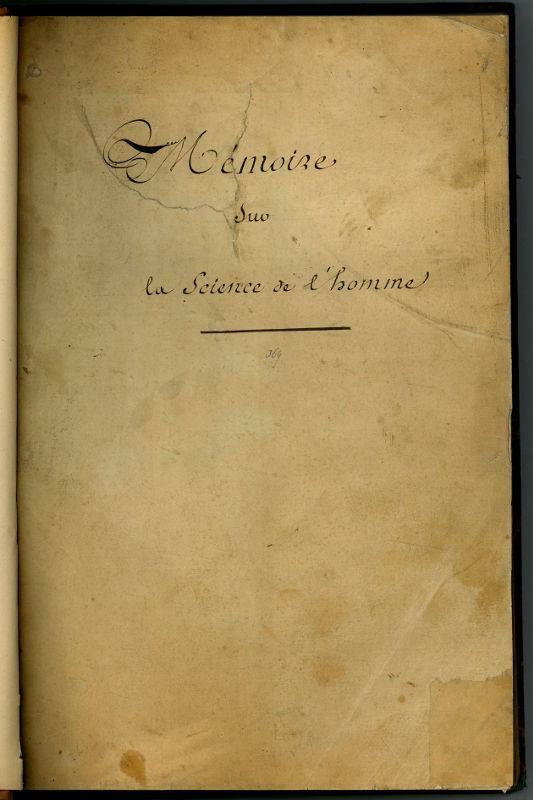 In 1790 he won a competition set by the Academie Royale des Inscriptions (see above) and the following year he was elected to membership.When the Revolution came he devoted himself to research for this book, analysing all the texts to which he had access. The book was published in two halves, fifteen years apart, with the second half appearing just before the restoration of the monarchy. His involvement with the world of learning included his appointment as President du conservatoire at the Bibliothèque Nationale in 1803. Some browning, as is often the case with this set. Le livre de tous les ménages ou l'art de conserver pendant plusieurs années, toutes les substances animales et végétales 3e édition revue et augmentée de procédés nouveaux, d'expériences et d'observations nouvelles. 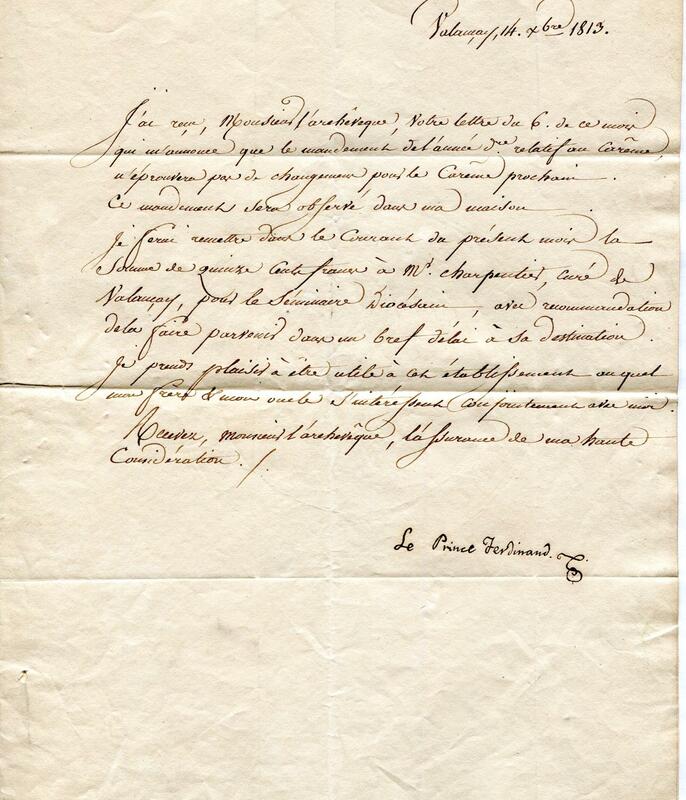 Paris, Barrois, 1813, in 8°, de XXXXVIII-176 pp., ill. d'une planche gravée se dépl., (un peu courte en marge inf.) demi-percal époque vert clair, qq. rousseurs sinon bon exemplaire avec la signature d'Appert au verso du titre. Bonne édition très augmentée, et en partie originale. Fr. N. Appert quelques temps confiseur près de Paris, gagna par son procédé de stérilisation et de conservation le prix proposé par Napoléon pour trouver une solution à la conservation des aliments pour les militaires. Mais les conditions du prix l'obligèrent à divulguer son procédé, ce qu'il fit par la présente publication. Il exploita quelques temps son brevet, mais finalement ruiné, il mourut pauvre. Toutefois les conserves connurent un énorme succès et suscitèrent la création d'industries. Tout d'abord conditionnées dans des récipients en verre, elles furent peu à peu mises dans des boîtes en fer-blanc soudé. Appert anticipe les travaux de Pasteur par sa méthode de stérilisation, et ce dernier reconnut lui-même que la "Pasteurisation" n'était rien d'autre qu'un perfectionnement de la méthode de F. N. Appert. ¶ Vicaire 35 - Bitting p.14 - Bulloch Hist. of Bacteriology, p. 44 "With his method Appert demonstrated practically the process of pasteurization, nearly fifty years before its scientific explanation" - En Français dans le texte n°220 - Oberlé n°184. Toulouse, Bellegarrigue, 1813-1818. 2 vols. 8vo. (Histoire:) contemp. 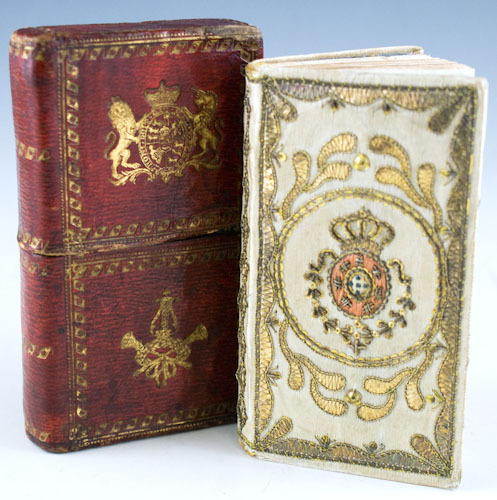 marbled calf, gilt border on covers, spine gilt and with a red leather label; corners worn, lower hinge split; with a very long engr. "vue des Pyrénées prise de l'Observatoire de Toulouse" (cm. 15.8 x 98); (8), LXXIII, 700 pp. ; some rare light foxing and very mild toning of the paper. (Supplément:) original wrappers; XII, 159 pp. ; uncut. 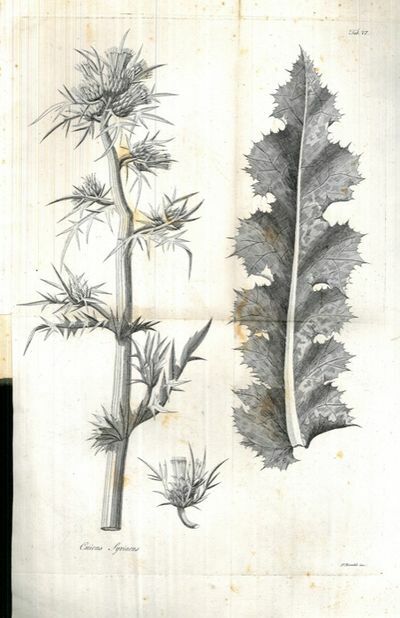 Rare first edition of an important flora of the Pyrenees by the French naturalist of Toulouse. It is one of the most complete works on the subject, and copies complete with the supplement are scarce. Pritzel 5070. 1813. Paris, chez Potey 1813 et Arthus Bertrand 1823. 14 tomes reliés en 7 volumes in-8. Reliure pleine basane de l'époque. Dos lisses très ornés à motifs dorés. Pièces de titre maroquin rouge. Pièces de tomaisons maroquin vert. Forte épidermures, manque en bas du dos du tome 6, coins émoussés Volume 1: tome premier : 1ere partie, région du sud. Section 1ere Sud-est : Faux-titre, titre, XXVII + 234 pages et tome second : 1ere partie, région du sud. Section 1ere, sud-est : faux-itre, titre, 198 pages. 2 cartes couleurs dépliantes (1 pour chaque tome). Volume 2 : Tome troisième : 1ere partie, région du sud, section 1ere, sud est. Faux-titre, titre, 224 pages et tome quatrième : 1ere partie, région du sud, section 1ere, sud-est, faux-titer, titre, 322 pages. 2 cartes dépliantes en couleurs (1 pour chaque tome). Volume 3 : Tome cinquième : 1ere partie, région du sud, section 1ere, sud-est : faux-titre, titre 231 pages et tome sixième : 1ere partie, région du sud, section &ere, sud-est : faux-titre, titre, 190 pages. 2 cartes dépliantes couleurs (1 pour chaque tome). Les volumes suivants intitulé : Itinéraire descriptif ou desciption routière, géographique, historique et pittoresque de la France et de l'Italie. Volume 4 : 2eme partie - région sud-ouest (1816) : faux titre, titre, 326 pages, 1 feuillet d'errata, relié avec : 3ème partie - région du nord (1816) : faux-titre, titre, 165 pages. 2 cartes dépliantes en couleurs (1 pour chaque tome) Volume 5 : 1ere partie - région du sud est (1817). Fauc-titre, titre, 207 pages RELIE AVEC : Région du sud-ouest (1818) : Faux-titre, titre, 308 pages, 2 planches couleurs dépliantes (1 pour chaque tome). 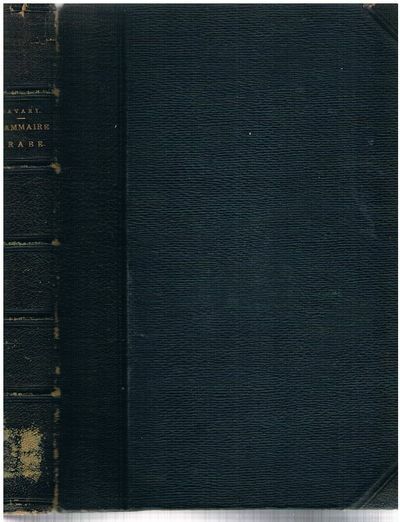 Volume 6 : Région du sud-est (1819) : titre, 257 pages. RELIE AVEC : Routes de Paris à Nantes : faux-titre, titre, 363 pages, 2 cartes couleurs dépliantes (1 pour chaque tome). Volume 7 : Région du sud. Route de Paris en Espagne. Paris, Arthus Bertrand 1823. Faux-titre, titre, 198 pages. RELIE AVEC : Région de l'ouest, Route de Paris à Rennes. Potey 1822. Faux-titre, titre, 435 pages, 2cartes dépliantes en couleurs (1 pour chaque tome). Exemplaire complet. Malgré les reliures abimées, l'intérieur est en bon état. 8vo., two engraved portraits (of the Duke of Sussex and of the Earl of Moira), engraved plate of the "superb Masonic jewel" presented to the Duke of Sussex, and a double-page engraved facsimile of the ticket of admission to the festival, 61 + (3)pp., including the final advertisement leaf, minor foxing and slight paper browning, contemporary half calf over marbled boards, general light wear to binding. A good sound copy with the early 19th century ownership signature of James Bygott and a later ms note that this copy was presented in 1868 to the Witham Lodge.Publisher: London: printed for Brother James Asperne.Year: A.D.1813-A.L.5817Edition: First edition. VESTIGES OF ANTIQUITY; or, A Series of Etchings & Engravings of the Ancient Monastery of St. Augustine, with the Cathedral, Castle, and other Antiquities, in the suburbs of the Metropolitan City of Canterbury: illustrated by a corresponding account taken from the best Authorities. pages of letterpress, including title, text, and list of subscribers. 12 full-page plates chiefly etched by the author. Original paper-covered boards with pastedown title-label on upper cover initialled by Hastings. Imperial folio; binding: 47 x 30 cm. Binding repaired at spine; some foxing throughout; one plates a little damaged at the bottom of the blank margin, but a very good copy overall, and rarely found in the original boards. It is thought that less than 150 copies were issued. Washington, 1813. 15 x 10 inches, printed on parchment, completed in a secretarial hand, a grant of land in Ohio to James Dearth. 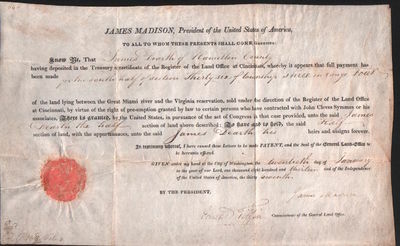 Signed by Madison as president, and Edward Tiffin as Commissioner of the General Land Office, paper seal intact. Signatures a little faded; very good. Animal Biography, or Popular Zoology. Holleben, v./Friedrich/Janson, v./Lettow-Vorbeck, v./Voß, v.
Geschichte der Befreiungskriege 1813-1815. 9 Bände. Band 1: Der Frühjahrsfeldzug 1813 und seine Vorgeschichte. Teil 1: Vorgeschichte und Geschichte des Feldzuges bis 26. April 1813 Band 2: Geschichte des Frühjahrsfeldzuges 1813 und seine Vorgeschichte. Teil 2: Die Ereignisse von Ende April bis zum Waffenstillstand Band 3: Geschichte des Herbstfeldzuges 1813. Teil 1: Vom Abschluss des Waffenstillstandes bis zur Schlacht bei Kulm Band 4: Geschichte des Herbstfeldzuges 1813. Teil 2: Von der Schlacht bei Kulm bis zu den Kämpfen bei Leipzig Band 5: Geschichte des Herbstfeldzuges 1813. Teil 3: Von der Völkerschlacht bei Leipzig bis zum Schlusse des Feldzuges Band 6: Geschichte des Feldzuges 1814 in Frankreich. Teil 1: Der Feldzug bis zur zweiten Trennung der Schlesischen Armee von der Hauptarmee Band 7: Geschichte des Feldzuges 1814 in Frankreich. Teil 2: Der Feldzug von der zweiten Trennung der Schlesischen Armee von der Hauptarmee bis zum Frieden Band 8: Napoleons Untergang 1815. Teil 1: Elba - Belle-Alliance Band 9: Napoleons Untergang 1815. Teil 2: Von Belle-Alliance bis zu Napoleons Tod. In allen Einzelheiten werden die politischen und vor allem militärischen Vorgänge rund um die Befreiungskriege gegen Napoleon I. von 1813 bis zum Tode des entmachteten französischen Kaisers geschildert. Halbledereinband mit Goldprägungen, Kartenbeilagen vollständig. Berlin: E. S. Mittler & Sohn 1904-1906. Zusammen 4210 Seiten. Leicht abweichende Buchrücken und Einbände, da 2 unterschiedliche Ausgaben. Einbände nur leicht berieben. The Rural Minstrel: a miscellany of descriptive poems. FIRST EDITION. 12mo. Halifax: printed & sold by P. K. Holden, for the Author. 1813 Half title. Uncut in later full crimson calf, triple ruled gilt borders with floral corner pieces, gilt spine, green & brown morocco labels. t.e.g. Booklabel of George John Armytage. v.g.Four copies only on Copac; no copies recorded at auction. 48 pages. Illustrated with an engraved frontispiece, a vignette on title, and 15small engravings, plus a full-page engraving at the close of the book. Original printed blue wrappers. 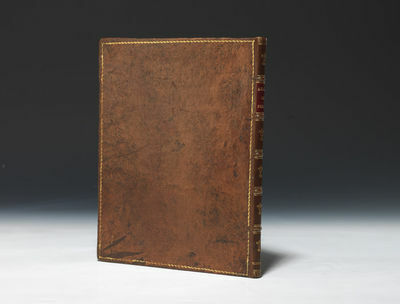 13.7 x 9.1 cm.Cover very worn and rubbed to the extent that almost all the original printing has been lost; some edges worn; couple of leaves repaired; else very good; contained in a cloth case with a leather gilt label. 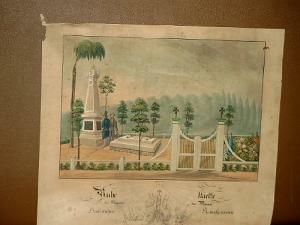 Some of the engravings are date 1815. Darton H14569(2). 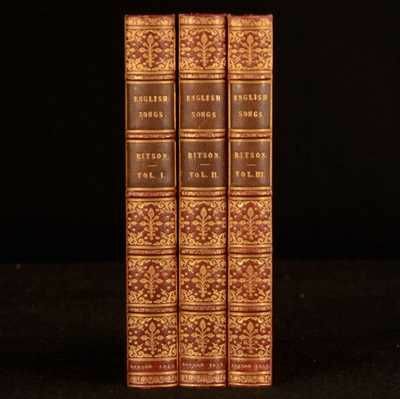 First published in 1807; that edition known by two copies; this issue also known by only two copies, Birm. ; Spencer. The engraving on page 46 shows two brothers, one holding his completed writing sheet. London: Sherwood, Neely and Jones, 1813. Duodecimo, seven volumes bound in five, with portrait frontispiece of Cook, two folding maps and 29 folding plates; in a handsome modern binding of half-calf gilt. 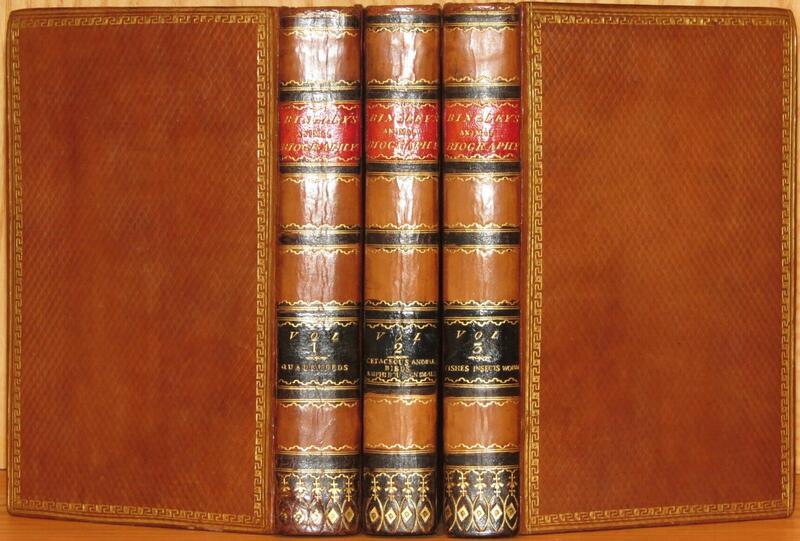 A really attractive set of Captain Cook's collected voyages in an elegant binding by Morrell. This scarce edition is an abridgement of the first, second and third voyage accounts edited from the official versions authorised by the Admiralty.This was one of two contemporary editions made from surplus sheets and plates from the volumes relating to Cook's voyages which first appeared in Mavor's General collection of voyages (1809-1810). Both versions follow the same organization as Mavor, but each was issued with new title-pages. 'With regard to the correct number of plates found in each volume, this work is a bibliographic riddle... the key numbers for the plates are sometimes correct for this issue and sometimes evidently meant for the earlier series. The result is that the binder has frequently placed plates in the wrong position, or even in the wrong volumes' (Forbes, in the Hawaiian National Bibliography, of the 1809 version). The present copy corresponds exactly with Forbes' collation, a testament to the 'bibliographic riddle' surrounding these books.The set is scarce with Beddie locating copies only in the Mitchell and National Libraries. Forbes adds another in a private collection. A few plates a little chipped and creased. Very good. Paris: Chex Saintin, 1813. Two volumes, square duodecimo, with a total of 32 plates including the frontispieces; recent marbled boards. A good copy of this scarce book which illustrates the native peoples of exotic and relatively recently discovered lands. It includes one section, with accompanying plate, dedicated to the Australian Aborigines. The work is known for the interest and diversity of its subjects, with sections, to name a few, on Java, Siam, the Iroquois, and the Hottentots. There are also many peoples from the Pacific noticed, including the inhabitants of Kamchatka (I, 20-28); the Moluccas (II, 38-43); Tahiti (II, 57-65); and California (II, 97-99). There is a particularly good section on New Holland (I, 29-37), which takes notice of the discoveries of Captain Cook on the east coast, and the newer colony at Botany Bay. Mention is made of the kangaroo and the platypus, but of course, most of the brief article relates to the Aborigines, with observations on some of their customs, and mention of the Baudin voyage, particularly the role of the artist on the voyage, François Peron.Lengthy appendices to both volumes take the form of "Anecdotes Intéressantes", designed to complement the regional chapters and including everything from anecdotes regarding expeditions in northern Africa, through to stories of the tribes of Louisiana. Of particular note is the brief account of the massacre of the French explorer and contemporary of Captain Cook, Marion de Fresne, by Maori in the Bay of Islands, New Zealand. A little foxing, light water stain to preliminaries of the second volume, yet a very good set. FERDINAND (Prince) - [FERDINAND VII (roi d'Espagne)]. Prince puis Roi d'Espagne sous le nom de FERDINAND VII (1784 - 1833). Il répond à l'Archevêque à propos du "mandement pour le carême". London: Edward Orme, 1813. Quarto, 10 coloured aquatints; modern half calf, spine gilt-titled. A very good copy of the first issue of this important Australian plate book.This was the first work to be published on the Australian Aborigines. Clark dedicated his work to the recently deposed William Bligh, with the unusually affectionate comment that it 'may assist in keeping alive the recollection of a distant spot, where your exertions for your country, and for the benefit of mankind, have been so eminently displayed'.The identity of the artist of the drawings originally sent from New South Wales, or "The Author" as he is described on the title-page of this edition, has never been established with certainty. The images - "Smoking out the Opossum", "Hunting the Kangaroo", "Throwing the Spear", "Climbing Trees", "Fishing" (two plates), "The Dance", "Warriors of New South Wales", "Trial", and "Spearing Birds" - have a general air of authenticity that strongly suggests a resident artist, albeit one with an eye for the English market. John William Lewin, the colony's first professional artist, is generally seen as the strongest candidate. John Heaviside Clark must have worked from original drawings to prepare the plates, as he never visited Australia. Clark made something of a speciality of this intermediate work for the London printing trade. Gyokai Ryakuga Shiki [Simplified Forms of Drawing Fishes and Shells]. Osaka: Fukusada Tobei, 1813. 257 x 175 mm, with 30 double-page colour woodblock prints; in fine condition in the original orange stitched wrappers, in chitsu clasped case. Beautiful Japanese woodblock book depicting more than fifty varieties of marine life - fish, crustaceans, a whale, a spiny lobster, and other interesting inhabitants of the sea. 'A classic naturalistic work, reminiscent of Ryusui's Umi no sachi... ' (Charles Vilnis), this is a 'famous book, appreciated by scholars and collectors both in Japan and in the West, including Duret, Binyon, Corbin, Javal, Gonse, Hayashi, et al. Keisai was influenced by his friend Hokusai, and also studied under Kitao Shigemasa, hence the source of his name' (Jerrold Stanoff). 'Keisai [1764-1824] studied under the master Ukiyo-e painter, Kitao Shigemasa and worked under the studio name of Kitao Masayoshi, in 1797 became the official painter to the Daimyo of Tsuyama, also trained under the most celebrated Kano Eisen'in... ' (Roberts, Dictionary of Japanese Artists, p.75).Mitchell (p.517) gives an explanation of the complex bibliography of this work, which first appeared in 1802 as Tatsu no miya tsuko with a collection of haiku. Traité de chimie élémentaire, théorique et pratique. Paris, Crochard, 1813-1816. ____ Première édition. On trouve à la fin une " Description, par ordre alphabétique, des ustensiles et en général de tous les agents mécaniques que l'on doit se procurer dans un laboratoire de chimie, accompagnée de leurs usages et de la manière de s'en servir". Cette partie est illustrée de 32 planches gravées. 5 tableaux hors-texte. Cole 1263 : "The first edition of Thenard's widely used large textbook of chemistry." 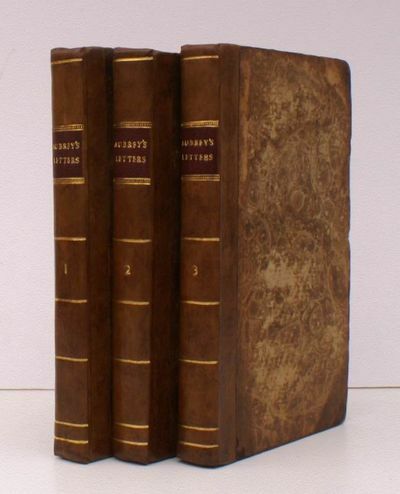 "The first edition of Thenard's Traité de chimie élémentaire was published in four volumes in 1813-1816. The first two volumes dealt with inorganic chemistry, the third with organic chemistry (divided into vegetable and animal), and the fourth with analytical chemistry. ... In the Lavoisier tradition, oxygen was still considered as a unique element...The detailed index included in each volume makes Thenard's book a particularly useful reference work for the chemistry of its period." D.S.B. XIII, 313. Rousseurs éparse. Très bel exemplaire. *****. 4 volumes in-8. [197 x 123 mm] Collation : (6), X, 606 pp., 3 tabl. / (6), 762 pp., 1 tabl. / (6), 658 pp. / (4), 333, (3) pp., 1 tabl., 68 pp., 32 planches h.-t. Demi-veau brun, dos orné, étiquette de titre rouge et de tomaison noire, tranches jaunes. (Reliure de l'époque.). W.H. Pyne on rustic figures, in imitation of chalk. 4to., (2)ii pp., 36 engraved plates, all printed on heavy wove paper watermarked 1809, the first of the two text pages with a thin streak of staining in the foremargin, the plates all excellent impressions, 3 plates with imprints partially cropped, a very few small spots or soil marks, original half calf over boards, these rather soiled, corners and edges worn, rebacked, the binding sound. Internally in very good state of preservation.Publisher: London: R. Ackermann.Year: 1813Edition: First edition: very rare. (OCLC & COPAC find copies only at NYPLYaleBLGuildhallAberdeen). Not in Abbey.